Andrew Whitehead has published numerous articles and photographs on his scuba diving trips, diving courses, safety and standards. His stories have appeared in Sportdiving Magazine, Solomon Airlines Inflight Magazine and Dive Log Australasia. 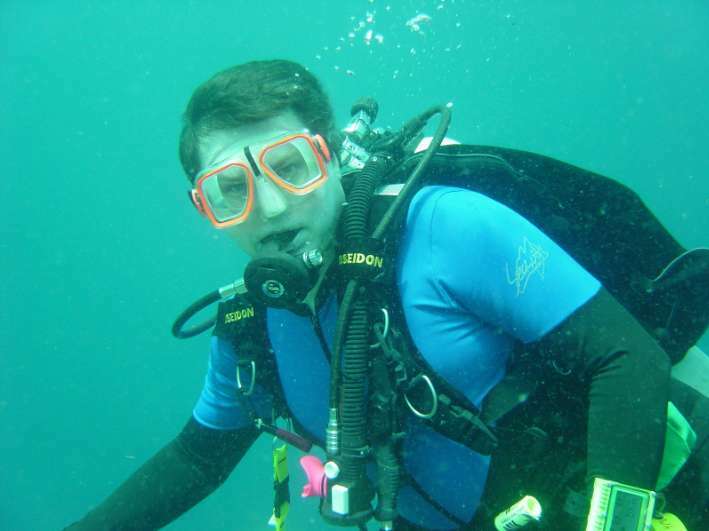 Scuba diving has been a life-long recreational activity, where Andrew attained a high level of training and experience. He is a Master Scuba Diver which is the highest level available to non-professional divers. He is also certified to dive using Nitrox as a breathing gas and is a qualified Deep Diver. As well as diving around his hometown of Brisbane and the east coast of Australia, Andrew travels overseas for diving holidays. In recent years, he has visited the Solomon Islands, Vanuatu, Fiji, New Guinea, New Caledonia, and Truk Lagoon in Micronesia. Andrew is currently working on his second novel, an action thriller involving a completely different type of wreck. He can be contacted via this website.